Prominent & Leading Manufacturer from Hyderabad, we offer pope mac series amplifiers, pope ma series amplifiers, jbl vrx932la-1 line array speaker system, pope gl series most powerful folded horn subwoofers, euro stereo power amplifier with atr and behringer inuke 4-channel amplifier. 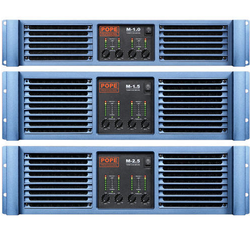 The POPE Professional® MA-7200 is 2U and MA-8200 is 3U, high-performance power amplifier designed to meet the most stringent needs of professional use in concert touring, high-quality sound reinforcement and professional fixed installations. 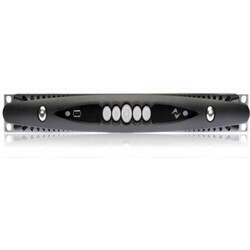 This amplifier is fully comparable with the other Professional Series amplifiers. 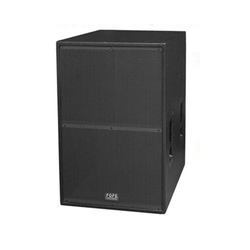 The VRX932LA-1 is a light-weight (46 lb / 21 kg) compact 12" two-way line array speaker system designed for use in arrays of up to six units. 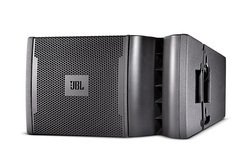 JBL’s exclusive neodymium magnet Differential Drive® woofer for high-power capacity and light-weight. 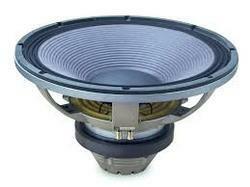 VRX932LA-1 features 3 x 2408J Annular Ring Diaphragm HF drivers. The 2408 represents the latest in JBL Professional compression driver design. Constant Curvature waveguide for unprecedented array coherence. Integral rigging hardware for simple connection of enclosures and optional array frame. Arrays of up to six enclosures may be flown. Array Configuration Selector permits “array shading” in passive mode. With the support of our adroit professionals, we provide our clients a high-quality Europower Amplifier. Our offered products have switchable limiters which offer maximum output level with highly reliable overload protection. We offer these products in numerous technical specifications as per the needs of customers. Our valuable customers can purchase these products at the nominal price. Our organization has gained recognition as a flourishing organization for providing Channel Amplifier. The given amplifier is applauded in the market for a built-in stereo crossover with low-cut, high-cut and full range mode & ultra-efficient switch-mode power supply. This amplifier is checked by vendor’s quality experts for supplying a defect free range. In addition, our offered amplifier is designed with high-grade material & leading techniques according to the quality norms. The POPE Professional® introduces new class D amplifier technology offering smooth and responsive handling with massive power output while maintaining POPE Professional's famous sonic integrity. The POPE Professional M Series M-1.0, M-1.5 and M-2.5 are using SMPS technology, the resulting high power, lightweight units designed for professional touring sound applications. 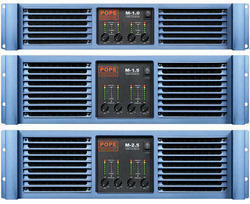 The POPE Professional® DC-1000 amplifier is designed for commercial and industrial sound reinforcement. All the controls are on the front panel for easy access. The DC Series amplifier can drive 4-16 ohm or constant voltage loudspeakers. High input capacity and fader count make this powerful console ideal for larger applications.With TouchFlow™ operation, new Yamaha TF digital consoles give you the ability to respond to music and artists with unprecedented speed and freedom. It's never been easier to achieve the ideal mix. 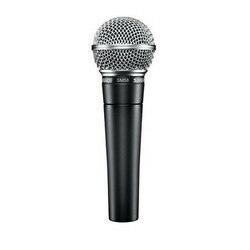 Tuned to accentuate the warmth and clarity of lead and back-up vocals, the SM58 is a legendary live vocal microphone known for its rugged reliability on tour. Go for XS Wireless 1 and rely on a solid wireless transmission with up to 10 compatible channels in a stable UHF band. The XS Wireless 1 Vocal Set is an easy to use all-in-one wireless system for singers and presenters, excellent for live sound featuring Sennheiser’s renowned evolution microphone capsules, e825 (dynamic, cardioid) or e835 (superior dynamic, cardioid) to get started. 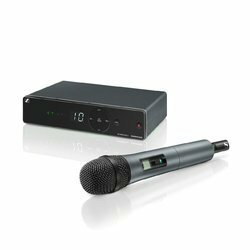 The set includes an intuitive stationary receiver for quick setup and hassle-free handling, as well as a vocal microphone and microphone clamp. An industry standard for performance and recording, the versatile and rugged SM57 is an exceptional instrument microphone and vocal microphone. VM2 radio mic status monitoring - Monitor the status of SHURE ULX-D and QLX-D and HiQnet-compatible AKG radio mics directly from the console surface with realtime visual displays of battery life, RF status, mic muting and internal clipping. BSS DPR901ii Dynamic EQ - this acclaimed industry-standard DEQ is built in as standard with 8 instances available for inserting on any input or output channel. The DEQ can be used at the same time as the existing channel EQ and Dynamics sections. Copy/Paste channel bus and FX settings - Dedicated Copy and Paste buttons on the surface allow the settings of any channel, bus or FX section to be copied and pasted, dramatically cutting down the set up time. Copy/Paste processing elements - Operators can drill down to copy and paste even single processing elements, and the last paste operation can always be quickly reversed with an UNDO function. Settings Library - Along with a useful library of EQ and Dynamics settings, operators can store their own settings in the console or to a USB memory stick, making initial set up and transition between shows even easier. Sophisticated Cue List Management - Allows changes to be applied to multiple cues and recall scope to be set per snapshot. Advanced events integration - Cues can trigger or be triggered by MIDI or GPIO events, including MIDI timecode. Harman's HiQnet Venue recall function is tightly integrated within the Cue List. Automated microphone mixing - STUDER vMIX processing is built-in, with ability to seamlessly process up to two separate groups of 16 inputs, with clear and intuitive metering showing gain reduction. Snapshot crossfades - Snapshot recalls can use crossfades to transition smoothly from one setting to the next. ViSi Remote iPad® app - Control major functions and optimise your mix from anywhere in the venue. Adjust monitor levels from the stage. Includes control of EQ Dynamics and metering overview. All busses to stereo - All busses can be turned to stereo without tying up two busses, providing a massive 24 stereo mix capability – perfect for mixing large monitor applications. 4 Aux send points - With a total of 4 aux send points, monitor mix engineers have the flexibility to tailor mixes more closely to performers' requirements. Sends can be pre-EQ, precompressor, pre-fade or post-fade on a per channel/per bus basis. Aux VCA mode - VCA master faders can control the aux sends of their member channels on a per mix basis, with a FaderGlow illuminating in white to indicate the VCA's operation on the current mix. Monitor engineers can retain control of important global elements such as ambient mics while also having a monitor mix selected and adjusting groups of sources within the current mix using the Aux-VCAs. Blue illumination of FaderGlow indicates that the VCA is controlling the global channel level to all mixes. Auto-increase of ambient mic levels in monitor mixes between songs - Performers using in-ear monitors want to hear the audience between songs. No problem. Vi3000 has the facility to externally control the Gate or Ducking processing from a bus in the console, so all you have to do is insert a ducker on an ambient mic with an external source of the LR bus or a spare bus, and the audience level increases automatically when the performers stop playing. 40-input Digital Mixing Console and 32-in/32-out USB Interface and iPad Control. The XLI Series of power amplifiers from Crown® represents a new era in affordable, quality power amplification. All four models in the series are powerful, rugged and reliable. They are suited for musicians, DJs, and entertainers as well as houses of worship, discos, and pubs. The four models in the series are the XLi800, XLi1500, XLi2500 and XLi3500. They are identical except for output power. 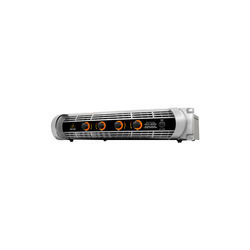 Features include RCA and XLR inputs, user selectable input sensitivity of 0.755V or 1.4V, Speakon® and binding post outputs, stereo/parallel/bridge-mono mode, power/fault/signal presence/clip indicators, forced-air cooling; and protection against shorts, no-load, on/off thumps and radio-frequency interference. With over six decades of experience designing and building rock-solid products, Crown is the standard in amplifier technology. So check out the affordable Crown XLI Series. They are a powerful argument for quality and value! Engineered from the ground up for unmatched quality and performance, the Crown DSi Series of power amplifiers offers four models of 500W, 800W, 1, 200W, and 2, 100W per channel at 4 ohms. Onboard digital signal processing includes crossovers, EQ filters, delay and output limiting. Rear panel HD-15 connector provides easy input/output connectivity between DSi amplifiers and the new DSi-8M System Monitor. At the touch of a button, Crown’s DSi cinema amplifiers deliver perfectly matched performance with each award-winning JBL ScreenArray® system, making this the ultimate cinema solution. The POWERPLAY P1 Personal In-Ear Monitor (IEM) Amplifier puts control where it' most useful “ right at the artist' fingertips. 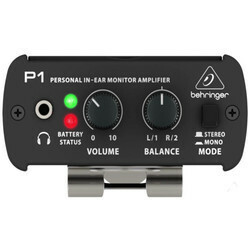 Whether on stage or in the studio, the P1 provides performers and recording artists with a dependable and affordable personal monitoring solution. 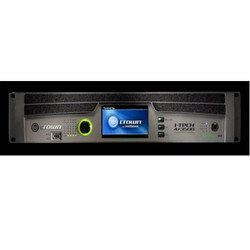 Crown's XTi 2 is one of the most powerful and innovative amplifiers on the market today. That's because the all-new XTi 2 Series amps continue to set the standard for unmatched performance and value, delivering the goods night after night without breaking a sweat. The RMXa Series is an update on a proven line of amplifiers line of amplifiers combining legendary QSC reliability, audio performance and affordability. Entertainers and touring users can continue to rely on the RMXa as one of the leading amplifier series in the world. For mid-power applications, the 2RU models offer 4Ω power ratings from 300 to 800 watts per channel. For premium loudspeaker systems with extremely high power capacity the 3RU models (RMX 4050a and RMX 5050a) are unchallenged. The RMXa Series amplifiers from QSC offer true professional-quality performance at an affordable price. We are one of the leading manufacturer and supplier of POPE ML series comes with WORLD CLASS B&C DRIVERS from ITALY. Established in the year 2004, we, "R K Enterprises", are known among our patrons across the nation for the purpose of wholesaling, supplying, distributing and trading the premium quality of Audio Equipment and Accessories. 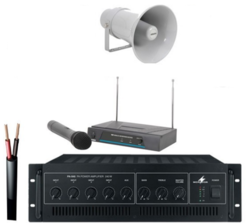 We offer a wide range of products such as Interactive Sound System, Audio Speakers and Audio Mixing Equipment. Owing to their thermal & electrical stability, compact design and optimum functionality, these audio equipment and accessories are highly appreciated among our patrons. Our patrons can avail this audio equipment in various sizes and design, as per the requirements and demands. In addition to this we offer Maintenance & Installation Services. Inside and out, the I-Tech HD Series are some of the most technologically advanced professional touring amplifiers on the market today. 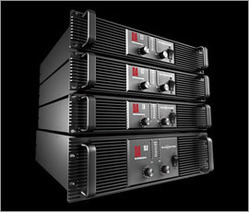 I-Tech HD amplifiers are available in 2 and 4 channel models. The QSC WideLine is a full range line array loudspeaker system designed for use in a wide variety of venues, ranging from ballrooms, theaters and nightclubs to concert halls, houses of worship and arenas. The WideLine features an open, natural sound quality and exceptionally wide 140° horizontal coverage pattern - the widest of any line array system currently available. The WideLine 10 Series features the WL2102w (two 10-inch woofers) along with two models of dual 18" subs; the "flying" WL218-sw and the ground-stacked GP218-sw.
Intended for high SPL sub applications, the 18-inch 18TLW3000 is based on Tetracoil technology that uses two inside and two outside coils actually working like four voice-coils. The dual-gap motor structure with four voice-coils increases the power handling and reduces power compression while balancing motor symmetry. Power handling reaches 3, 600 watts, while its 29-pound weight is comparable with large coil neodymium woofers. The 18TLW3000 is offered in 8- and 4-ohm versions. Multistage signal processing Innovative solutions for modeling speakers behaviour and power handling. 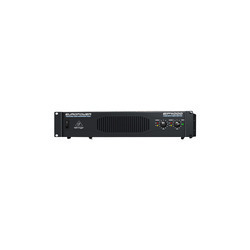 Powersoft X4 innovates and evolves the concept of the amplification platform though the integration of a worldwide compatible power-box and a full feature DSP inside the power amplifier. 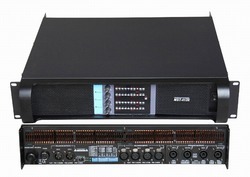 The complete digital audio signal management system based on ARM Cortex A-8 processor and TI C6000 DSP platform heralds new and innovative level of signal processing, providing non-boolean routing and mixing, multi-stage equalization with raised-cosine, IIR and FIR filters, delay up to 4 s in input processing and 200 ms for time alignment, gain and polarity adjustment, crossover, peak limiters, TruePower™ limiters and Active DampingControl™. The power supply permits worldwide AC acceptance and direct connection to any regional power line configuration: It is now suitable to Single Phase, Bi-Phase or Three Phase operation from 85 VAC up to 440 VAC without need of manual selection. True Three Phase load balancing is directly achievable by the unit without any complex load assignment in the power distribution system design. Multi-zone venues & live clubs Powersoft X4 has been designed to be versatile and easy to use in any operation condition. Equally useful for most subwoofers as well as high-power fullrange systems, Powersoft X4 suites any configuration and purpose. Ultimately flexible and safe, Powersoft’s legendary power supply is now suitable to Single Phase, Bi-Phase or Three Phase operation from 85 VAC up to 460 VAC without need of selection. True Three Phase load balancing is directly achievable by the unit without any complex load assignment in the power distribution system. Powersoft X4 provides four fully processable channels and selectable inputs from analog sources as well as digital AES3 and two redundant Dante™* streams. Channel mixing and routing can be easily performed thanks to the integrated revolutionary low latency DSP, providing the highest degree of freedom in sound shaping and speaker management. Full support to 100Mbps and Gigabit Ethernet makes it easy to integrate Powersoft X4 into any existing infrastructure. Completely integrated into Armonía Pro Audio Suite™, the new Powersoft X4 interface is also available for smartphone and tablet, providing a new experience in power management. Power Load Balancing with Power Factor Correction enhances efficiency in power distribution. Smart Rails Management increases efficiency by means of the dynamic rails modulation. Easy plug-and-play Dante™* networking allows easy routing of the signal from any node within the network to Powersoft X4. 4 input channels with physical analog and digital AES3 connectors and 2 redundant Dante™* connection provide maximum flexibility. Improved reliability thanks to the customizable input backup policy that allows to automatically switch input source in case of signal failure. Complete user interface integrated into Armonía Pro Audio Suite™. WiFi remote monitoring through mobile device. f Highly integrated 9 Top-grade DSP with high dynamic range and extensive feature set. Input and output IIR, FIR, IIR+FIR equalizers and raised-cosine filters. Full protection circuitry: Over/under AC voltage, troublesome signals (VHF, long-term RMS), DC, thermal, short circuit, mute at power on/off. Looking for Audio Amplifiers ?